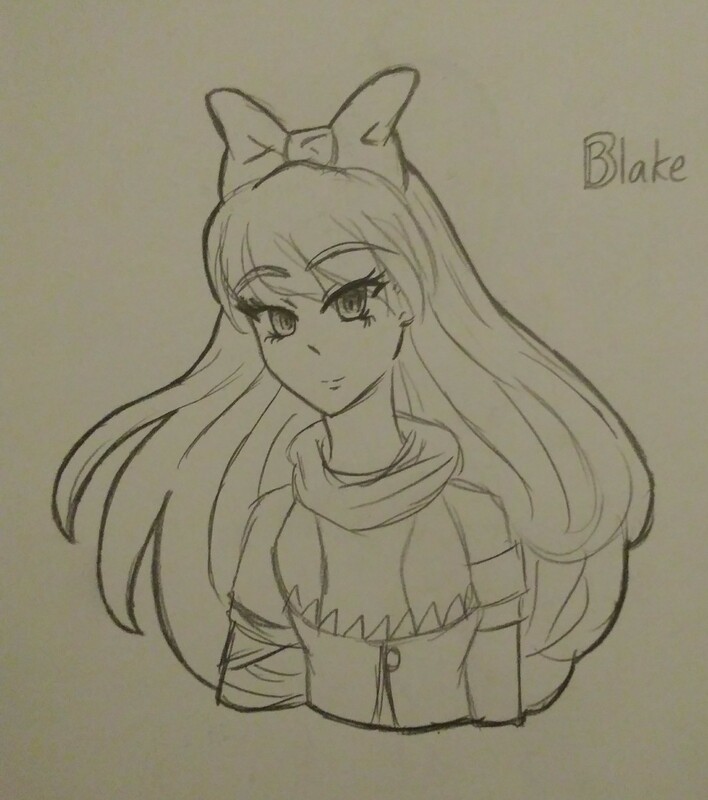 A Blake sketch I had made. I am hoping that this pic shows up. Well it works. I'll start adding stuff I guess. 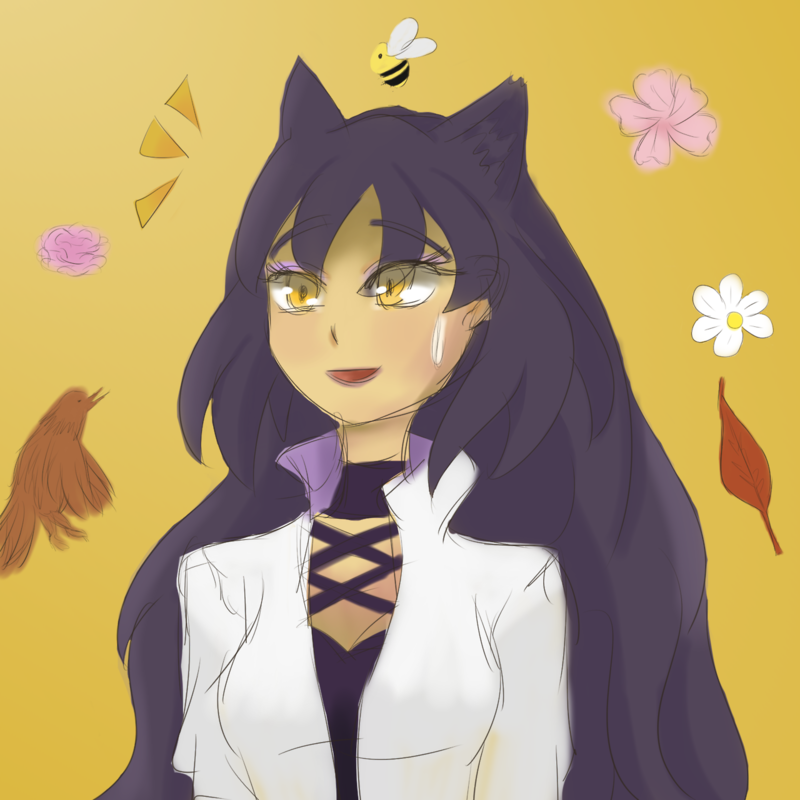 Have some more Blake bc I love her so much. 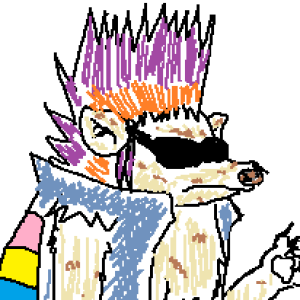 Mm I'll add Neon now. 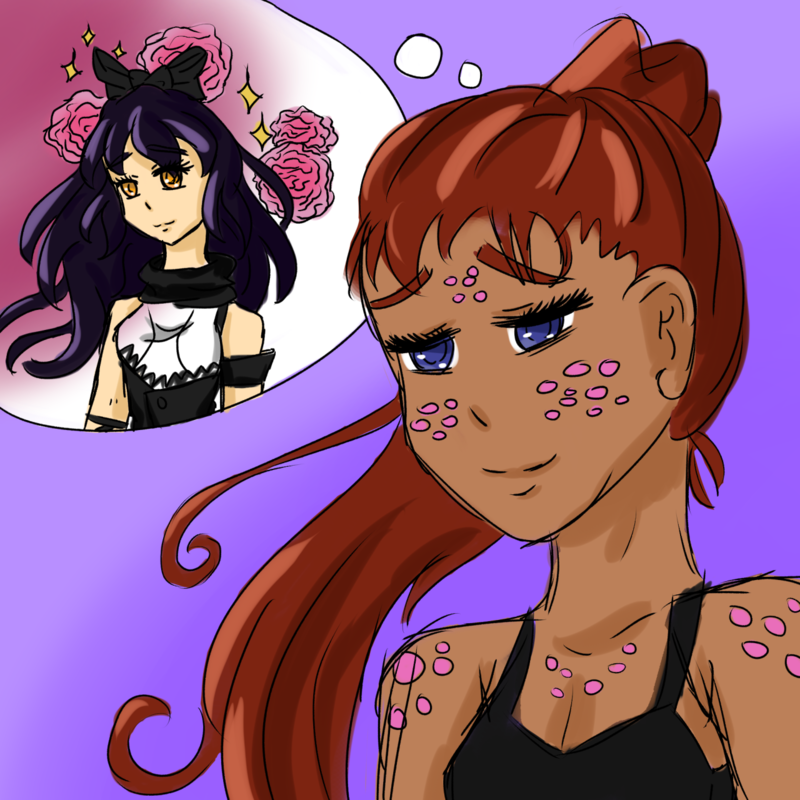 Then I'll just add my yuri drawings while I'm at it. 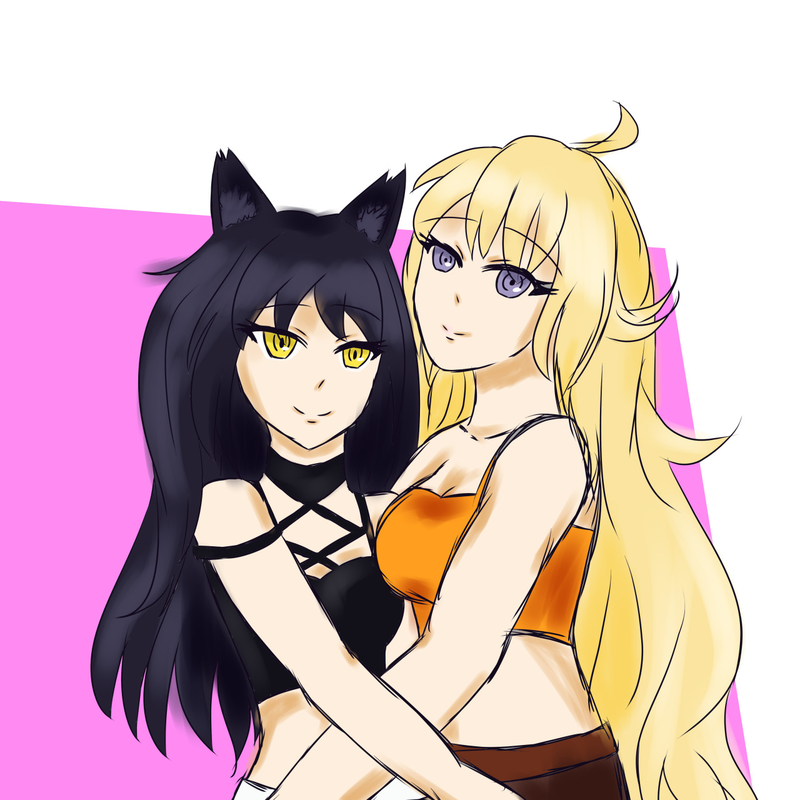 Bumbleby ftw. 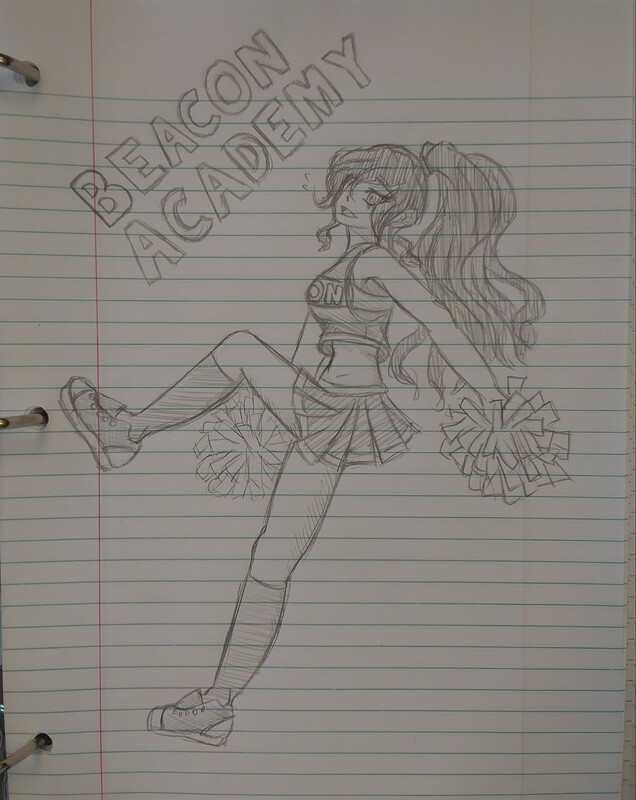 Drew this earlier actually as a request for an anon on Tumblr. 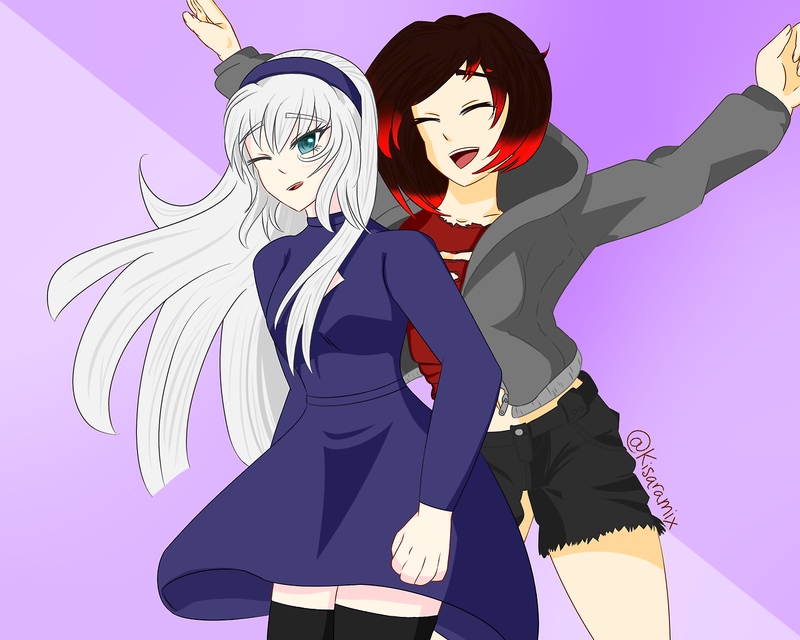 RWBY x LUVORATORRRRRY! was fun to do. 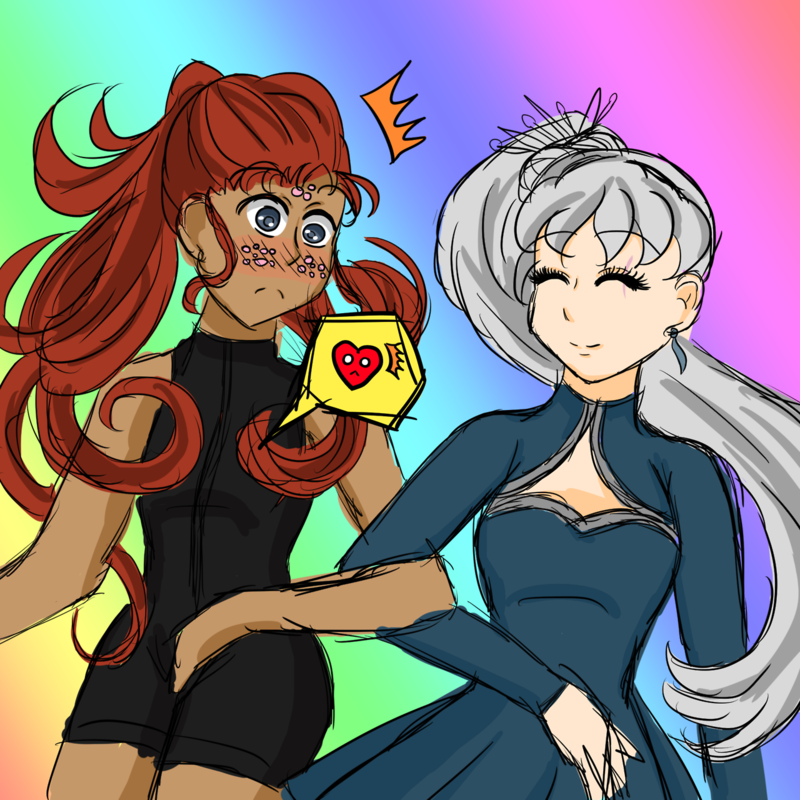 Weiss is such a doll, I love drawing her. She is also lovely to draw, I should draw her more often. 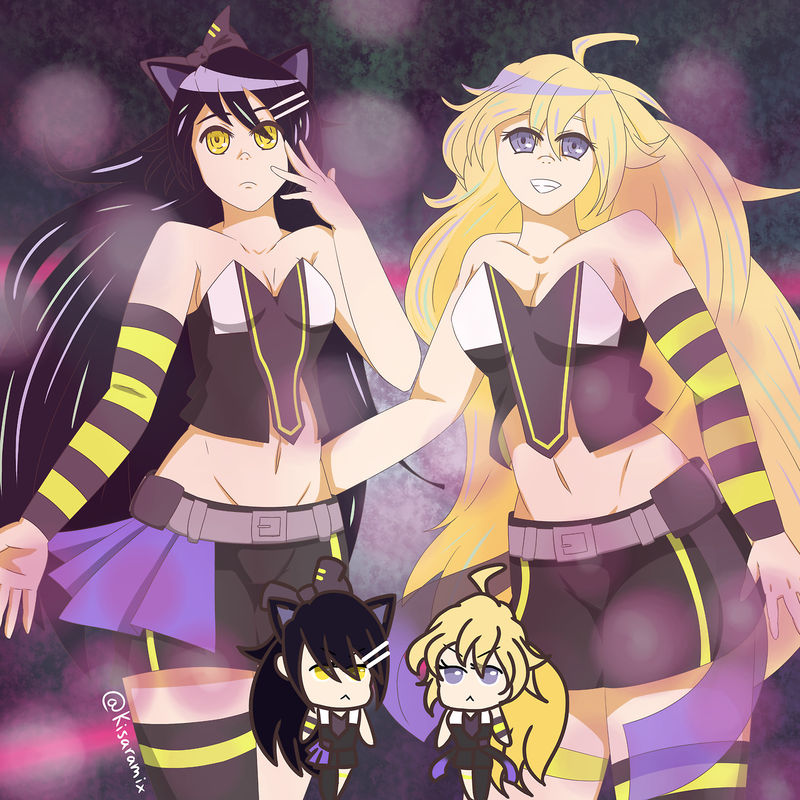 i have no idea what RWBY is though. I mean... Try it out dude. You know RvB? Roosterteeth? Monty Python? Pretty nice work so far. On the digital art, I would suggest making the final lineart a little cleaner by adding another layer over the sketch layer and smoothing everything out like you did on the last digital post. Trad art looks pretty good, too. You have a lot of good ideas on form, and if you keep practicing with 3D shapes in your head, the human body will get a little easier. Around here somewhere there was once a nice long PDF of a book on muscle anatomy. Although it was originally for working out, it was a good reference for figuring out the more advanced aspects of drawing the parts of the body interacting in dynamic poses. If you're interested, hmu and I'll see if I can find it and transfer it to you. RWBY is pretty awesome. Once you get through the first volume (which I admit is a little bit of drag) I promise that you'll get sucked into the plot. I highly recommend it! As for the messy lineart I'll be honest I get lazy I'm working on it! I'll take your advice on that. The PDF sounds really cool too! 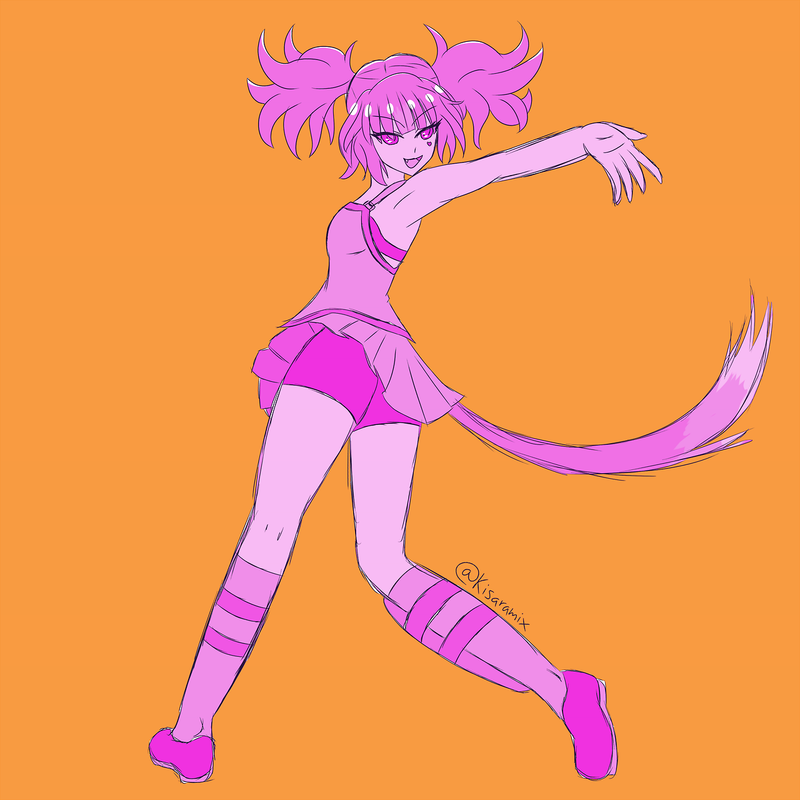 Neon Katt bc I still love her even if she was a minor character. I used a Hatsune Miku figure for the pose, lemme link that too. 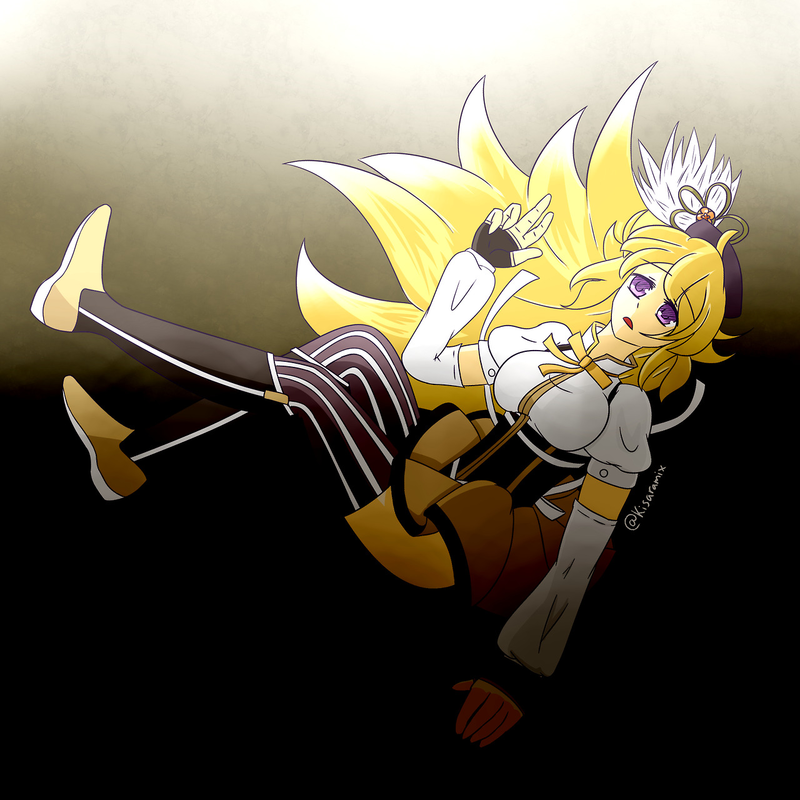 This counts as spoilers I guess if you haven't watched the latest episodes of RWBY. 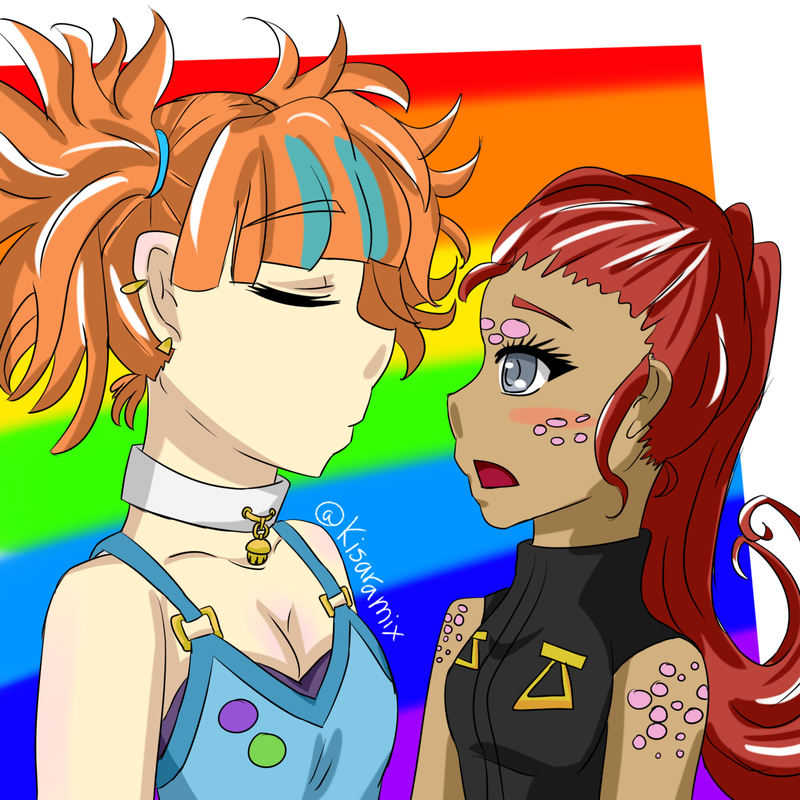 Someone gave me a crackship idea and I couldn't pass it up. 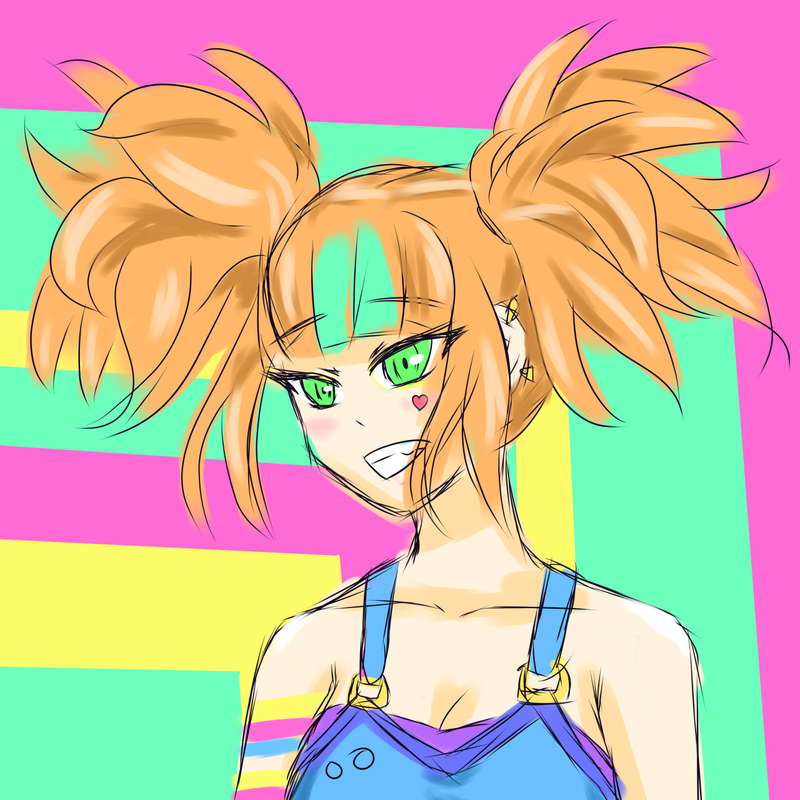 I need to learn how to draw smaller busts again, or just petite characters in general. 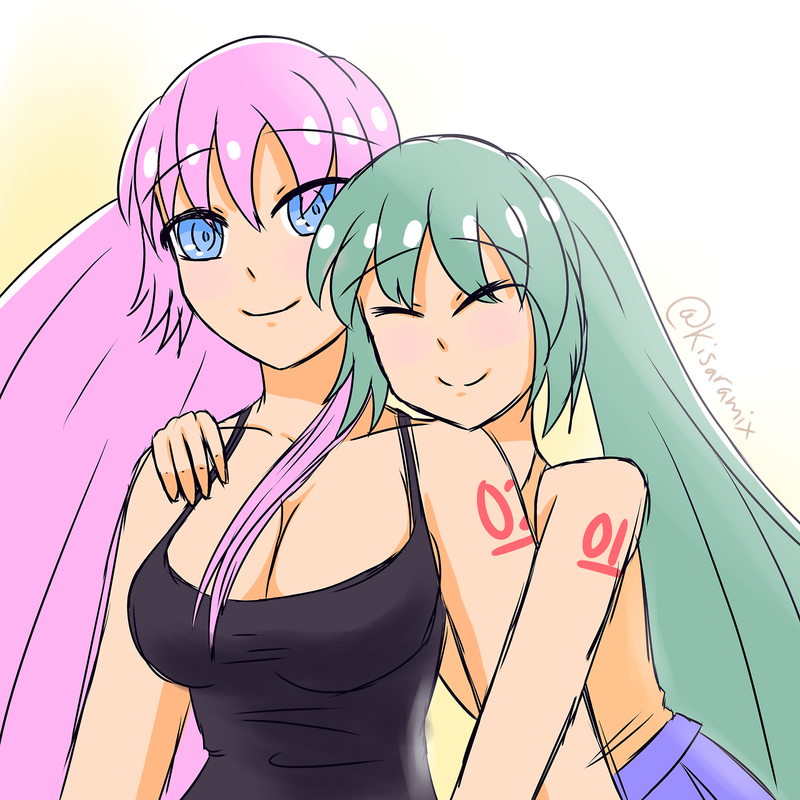 Lazy sketch I did as a request, yet another crackship. 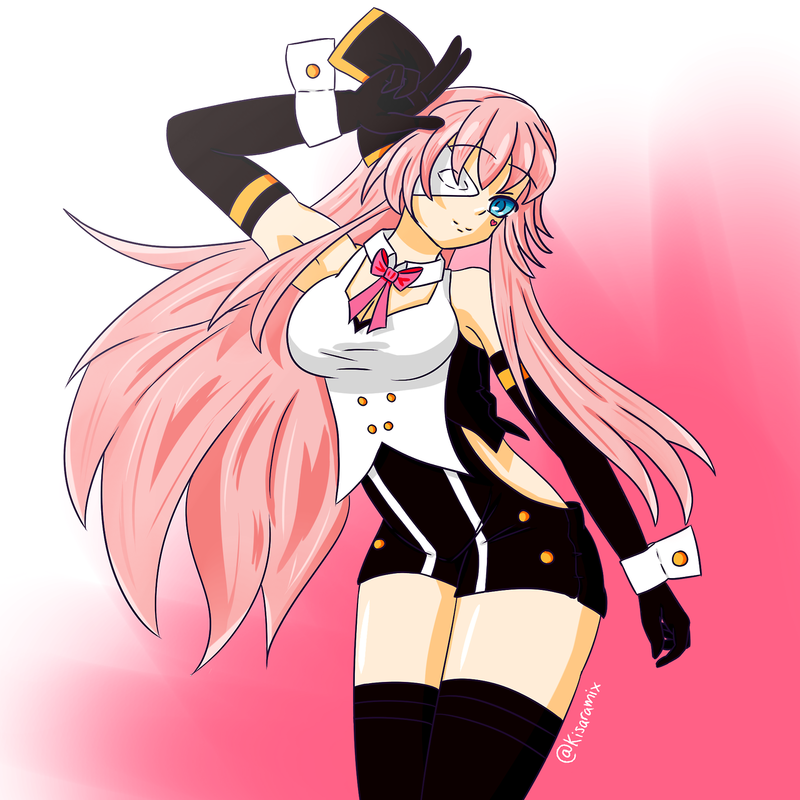 Luka This was a Christmas gift for a friend on tumblr. 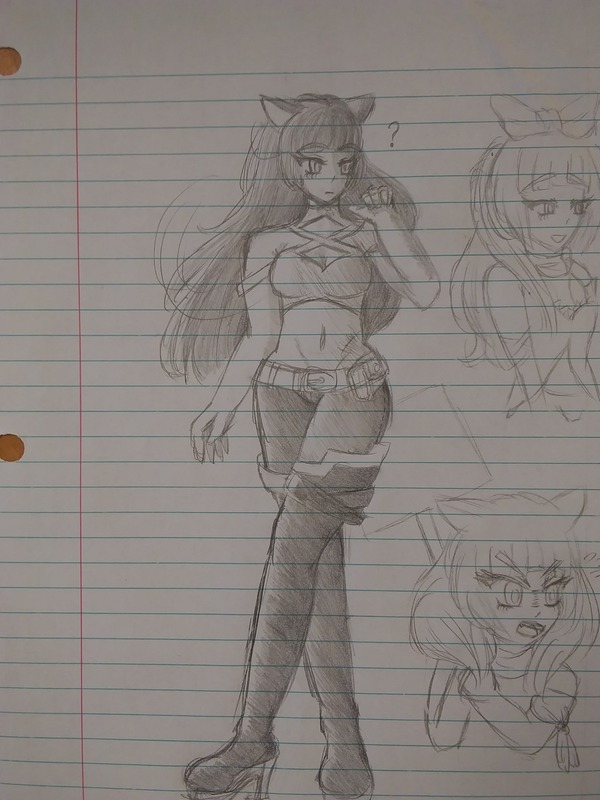 As you can see I drew this at the same time as the RWBY x PMMM drawing above, I don't know why I was having trouble with hair.